It's that time of year again, folks! Jumpers are out, the nights are drawing in and the next thing to look forward to is the corporate Christmas party. Themes are a smart move if you want something more original than a turkey dinner and disco. 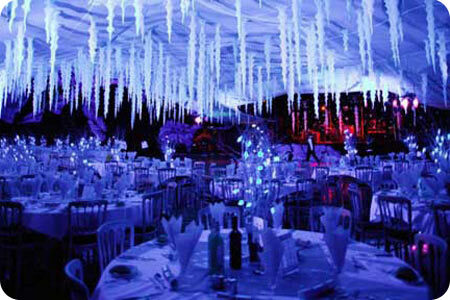 Choosing the right theme for a corporate Christmas party is easier said than done. Do you go down the festive route or branch out and do something completely different? A stunning themed evening to wow your guests with maximum magic and sparkle, this winter wonderland theme will tick all the boxes. There are no half measures. I'm talking full-on Narnia-style stuff: icicles hanging from the ceiling, frosty pillars at the entrance, twinkly fairy lights, giant snowmen, Jack Frost, carol singing â€“ the full works. One of the most enduringly popular corporate Christmas party themes, the 1920's is all about glamour, drama and excitement. If you want an event that's smart and elegant then this era will fit the bill perfectly. Dressing up is part and parcel of the festive season. Make your office do a 1920's themed party and your venue will be transformed into a speakeasy with gangster doormen and cocktails in teacups. Add a jazz band and Charleston dancers for the full effect so guests can shimmy the night away. 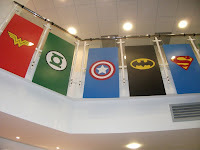 Always a winner, a superheroes theme is ideal if you fancy doing the fancy dress thing. From Masked Marvels to Caped Crusaders every guest will have will be able to unleash their inner superhero with team building event. The venue dÃ©cor makes a massive impact from the working Bat signal to Superman's legendary phone booth. You'll get the Batman sign, Superman and Spiderman panels, and huge superhero logo backdrops that will really excite your guests. A Hollywood Oscar night is an excellent choice if you're hunting for classic corporate Christmas party themes. This one steps back in time to the golden age of film. Think classic movies on a big screen, popping flashbulbs, vintage cars, 3D Oscar statues, a massive MGM camera, a red carpet entrance and Marilyn Monroe lookalikes. The grand daddy of party themes, Bond works especially well at Christmas. It's the perfect excuse to dust off the tuxedo or vamp it up as a Bond girl. The scene's set with massive 007 backdrops, ice sculptures and casino tables. You'll also get iconic Bond movies and theme tunes playing in the background. You can even have a secret agent drama unfold as evening entertainment. It's time to roll up for the greatest show on earth! You can't top a Circus themed corporate Christmas party for sheer impact. Transform your event using brilliant backdrops, props and themed decor. It might not be festive as such but the circus is all about sparkle and entertainment. DÃ©cor-wise, it's amazing. Go for it with a red and yellow striped big top ceiling draping, illuminated carousel table centres, batons, silhouettes, a neon glow show and even dazzling acrobats as part of the entertainment. Everyone knows Lewis Carroll's classic children's book. This is a real â€œlet your imagination run looseâ€ kind of party theme. The madder the better! Drop down the rabbit hole into a venue full of giant playing cards, huge toadstools, living statues and the Queen of Hearts. It's brilliant at any time of year but there's something about Las Vegas that makes it work particularly well for a corporate Christmas party. This one is all about letting your hair down and getting into the hedonistic spirit. 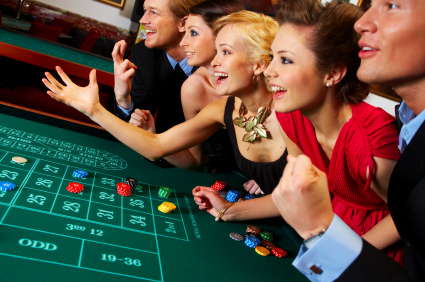 The Las Vegas event is big, bold and beautiful and this event will evoke and transform your event into a glamorous gambling den. There's so much scope for dÃ©cor and evening entertainment. 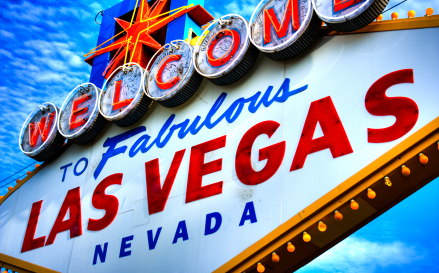 Go to town and do Sin City in style with casino tables, a giant Scalextric, huge dollar bills, playing cards and a rope light replica of the Bellagio's spectacular waterfall. Do you want to something completely different? Ask about bespoke Christmas parties. Name your theme and have a party designed around it. Call our crack team of event planners on 01773 766050 or browse the themed events page of Actiondays for more ideas.